Dunav Ultra - A 732-km (455 miles) long cycle route in Northern Bulgaria. Dunav Ultra cycle route was founded in 2014 like a personal transformation project of Bulgarian entrepreneur Boris Begamov. Back in 2010, he found himself overweight, an avid smoker, and an individual with an alcohol addiction. However, his love for cycling, sports and a healthy lifestyle transformed him completely. He created the Dunav Ultra cycle route as a part of his personal transformation goals. It was an important moment of his personal journey, when he managed to complete the Dunav Ultra cycling route in less than 48 hours in a a bicycle. Since he found it Begamov completed the route 3 years in a row. Once with road bicycle (53 hrs), once with single speed bicycle (45 hrs) and once as a duathlon (47 hrs) – 40 km of running and 642 km of cycling. Since then, Begamov has been at the forefronts of developing the Dunav Ultra trail as a worldwide tourist destination. What started as a personal redemption story became a life-long mission with regional repercussions. 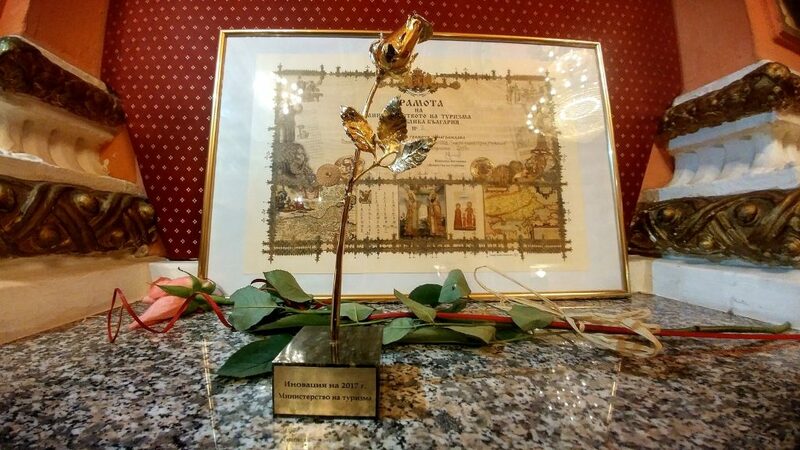 At the end of 2017 The Dunav Ultra cycle route won Annual Tourism Awards, powered by Ministry of tourism of Republic of Bulgaria. 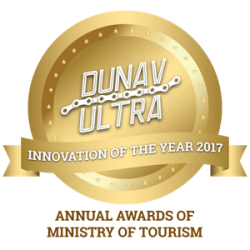 Dunav Ultra was nominated in “Innovation of the Year” category, and became the big winner after thousands of people voted for it as their favorite project. On August 20-21, 2016, four amateur athletes pushed off from the village of Kudelin to complete the Dunav Ultra: 3rd River Monsters campaign. Their names were: Boris Begamov, Stanislav Evgeniev, Iliyan Lazarov and Philip Lhamsuren. Their cause was to popularize the Danube River region as a worldwide tourist destination and to promote the cycling routes along the river’s banks, up to the point where the Danube reaches the Black Sea. 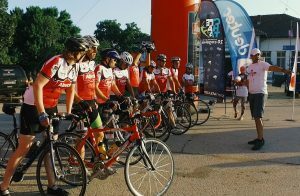 The primary sporting challenge of the event was to complete the entire itinerary of 682 km for less than 48 hours, by jogging for 40km and then cycling for the remaining 642 km of the Dunav Ultra course. The challenge was successfully completed by Begamov, Evgeniev and Lazarov. All three of them managed to finish by 47:36:00 of the appointed time. Their sporting campaign was officially endorsed by the Bulgarian Ministry of Tourism (for the Municipalities of Vidin, Svishtov and Ruse). World Press Photo winner, Atanas Turpanov, acted as their official photographer for the trip. Participants: Boris Begamov, Stanislav Evgeniev, Iliyan Lazarov and Philip Lhamsuren. Borislav Yordanov (dropped out, due to an injury). On July 11-12, 2015, two cyclists undertook to overcome the 682 km-long itinerary of the Dunav Ultra trail in less than 48 hours. Their names were Boris Begamov and Petur Zlatkov. Their undertaking was additionally complicated by the fact that they had vouched to complete the entire route by employing single-speed biking gear. The sport challenge bore the name of Dunav Ultra 2: Hungry for Speed. Its main cause was to popularize the Dunav Ultra cycling trails as part of the transcontinental EuroVelo 6 cycling route. Both cyclists managed to complete the challenge successfully, clocking a total of 44:40:00 hours on their bikes. Their campaign caused a storm online, under the title of “Crazy-Mad Facebook Dunav Ultra Reality Ride.” World Press Photo winner, Atanas Turpanov, was the official photographer for the event. In that particular year, a total of three cyclists took off to complete the sporting challenge of Dunav Ultra. Their names were Boris Begamov, Petur Zlatkov, and Emil Shukadarov. Up to that point, none of three had ever ridden a bicycle on a busy highway. Still, their first-time attempts on Dunav Ultra were greeted with huge enthusiasm by friends, family and other cycling buffs – both online and via Facebook. Unfortunately, the try-out was largely unsuccessful. Only Boris Begamov managed to reach the final destination, albeit in a timeframe of 53 hours, therefore exceeding the requirement of 48 hours by 5 hours. The other participants, Zlatkov and Shukadarov, gave up 140km before the finishing line.